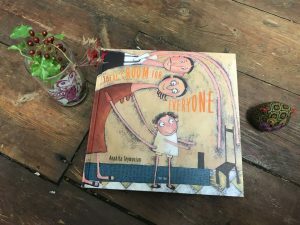 There’s Room for Everyone will start children on a thinking journey! 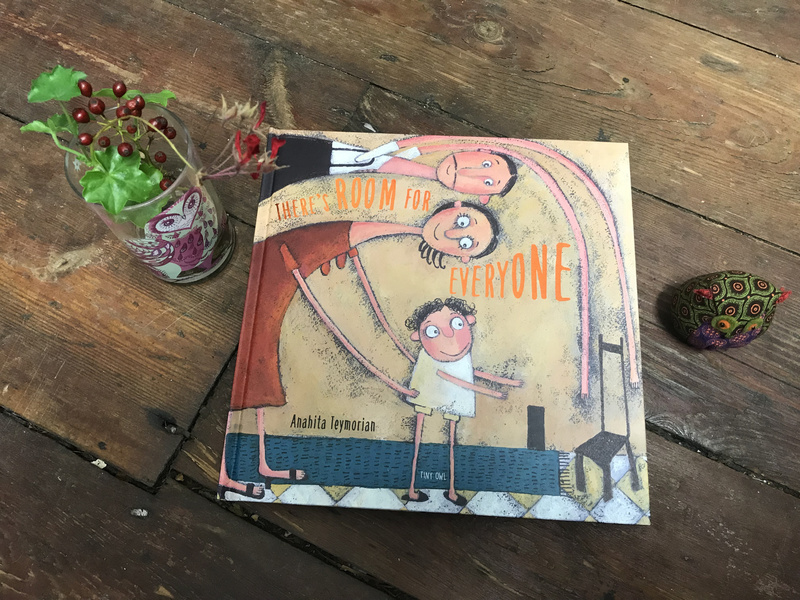 IBBY UK have written a fab review of There’s Room for Everyone by Anahita Teymorian! Read it below! How to explain the social world we live in to children? Anahita Teymorian takes her young audience on a journey – a metaphorical journey from birth to growing up to become an adult. At each stage there is still room for you – and your family. Indeed, looking around one can see the world is a crowded place full if life not just human beings but animals, birds, fish – and there is still room for all. So why all the fighting? Surely if there is room for everyone, fighting is unnecessary. It only needs kindness, a bit of love for this to become apparent. This is Teymorian’s message delivered in clear, unpretentious language; language that a child can understand. She then accompanies these words with her very distinctive individual style. This is a message that emanates from a part of the world where it is, perhaps, a most obvious need and Teymorian’s art reflects this and while the text makes no direct reference, the visual clues are all there; the colours of a desert country, the architecture and the night sky. The title brings to mind that Jewish folktale. But the furnishings and the people belong to the world. A picture book indeed – but not, perhaps, for the very youngest. Rather it is designed for older primary school children and would be an ideal resource for PSHE teachers. Philosophy is once more becoming a subject that is finding a place on the curriculum. Here is a book to help start that thinking journey. Read a blog: There’s Room for Everyone provides Hope in a Scary World!